This is Dell’s new tablet that is meant for business oriented users, and students who are looking for an affordable yet up to date Windows 8 tablet. Dell is currently offering different options to choose from depending on your budget. They also offer two kinds of Latitude 10 tablets, the Latitude 10 and the Latitude 10 essentials which we will discuss later in the article. As mentioned, the options you have for the different Latitude 10 tablets are as follows. First up has the starting price of $827.14 which is estimated to ship on the 5th of February 2013. It has decent specs on it. It’s using an Intel Atom 1.8GHz processor with 1.5GHz HFM, and 600MHz LFM of Intel’s Burst Technology. Operating system is Windows 8, 32-bit edition. It is using a 10.1” IPS panel at 1366 X 768 Wide View Angle LCD display, a 10 Finger Touch capacitive and uses a Corning Gorilla Glass to prevent the screen from unnecessary scratches or cracking. It has 2MP front camera and an 8MP rear camera with LED flash. Then a 2GB DDR2 SDRAM clocked at 800MHz, a 64GB Solid State Drive for storage, an Intel Graphics Media Accelerator at 533MHz for its on board video card, plus you get some offers from Dell which is a 1 year basic hardware service and 1 year NBD limited OS after remote diagnosis. This tablet approximately weighs around 1.43 lbs. to 1.47 lbs. Next up is estimated to ship on the 25th of January 2013, and starting price is around $927.14. It fairly has the same specifications as previously mentioned but the differences are in additional features like the active stylus support that enables you to use a stylus directly on your tablet, a removable battery so if you are travelling especially for business men, you need not to look for any place to charge your device as long as you have an extra battery pack with you. Business goes on. This is one thing I like that Dell had thought about, not only for business users, but for other consumers especially gamers that would want to take their gaming tablets in long trips, the last thing you don’t want to know, in the middle of an intense battle, your tablet suddenly beeps and requires you to charge it. How frustrating is that? I hope to see more removable battery implementations on other manufacturers in the future. Another feature is an added security chip aside from the built-in software TPM which is the TPM 1.2 that protects you data from software or physical theft. Last option you have for the Latitude 10 tablet will be shipped on January 25, 2013 and starting price is about $1070. It carries the same specifications and features as the above mentioned but what is added is more connectivity. Here you can now use a 3G mobile broadband to connect from the internet aside from WiFi and Bluetooth connectivity. That’s about it for the Latitude 10, but what’s more? If you visit Dell’s website, they are offering a much lower price, like the first option, Dell’s price is $579, second option is at $649, and the third option at $749. 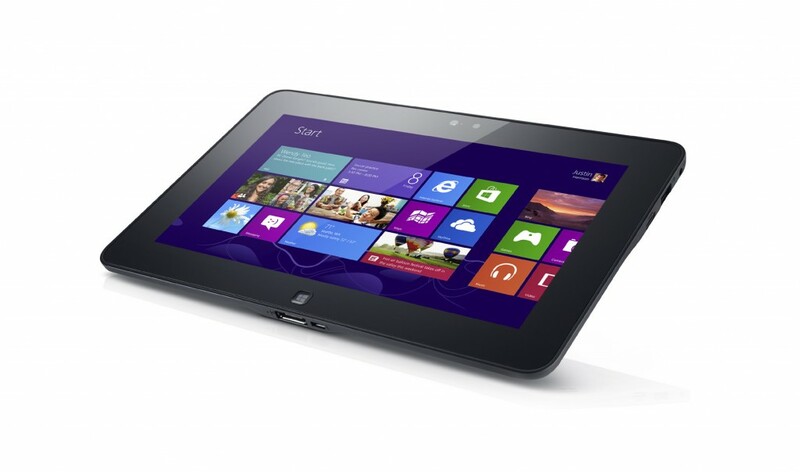 Now comes the difference between Dell Latitude 10 and Dell Latitude 10 essentials. It all boils down to difference in features as well, the Latitude 10 essentials don’t have active stylus support, doesn’t have the swappable battery feature, the rear camera has no LED flash, no micro HDMI port, and uses only WiFi for connectivity. In conclusion, depending on what kind of user you are, you have different selections to choose from and Dell lets you customize your tablet to suit your personal needs best. Foldable Smartphones are the Future?